My photos of Santorini – what do I need to do next? I thought I would start off with a list of things to do – it has been a while after all. The end point here is a brand-new website, Photos of Santorini. I am delighted that I have waited until now, as before I did not have a purpose for the photos I took in Santorini – and now I do. A website just for my photos of Santorini. I am going to go through the images in my Lightroom Catalogue and see if there are any images that I did not select for the edit – I am now looking at these images with a different end in mind after all, so always good to have a quick look. I took 2442 images, which equate to 763 images once bracketed images have been put together. I selected 108 images to edit last year – lets see what I come up with this time. Yes, I need to do this – I keep closing the reminders when I fire up my PC in the morning, but I will behave and start with a freshly calibrated monitor. When I say edit the images I mean edit the images. Get all the images that I want to use fully edited. I started doing this over a year ago, but thankfully I can pick up where I left off just fine. To date I have edited 52 images. And I have to say that I am rather excited to be getting on with the editing – I have upgraded the RAM in my PC, and Lightroom has received significant updates from Adobe since I last worked on these images, so image editing will be a more pleasurable experience. I need to assign a rating to the images in Lightroom – 4 stars. I am saying this as I often forget. Add metadata to the images. I need to make sure that the metadata is correct, and to do this there is another job that I need to do. 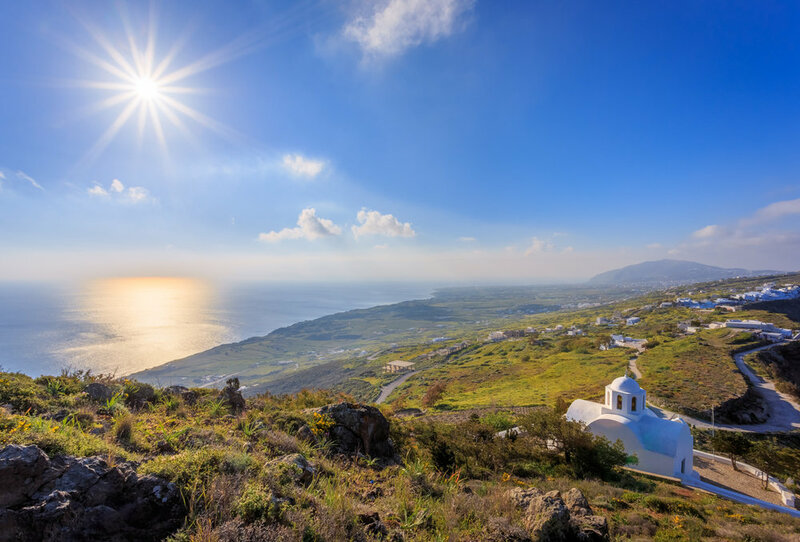 This is a big job on its own – not only do I need to research the metadata, but also research the content that is going to be added to my new website, Photos of Santorini. I need to do this before I start to construct the layout of my new website – this is all about getting the job done thoroughly, and once. Once the images have all the metadata they are ready for upload – I need to make sure that the upload method puts the correct data in the correct fields on my WordPress website. This is something that I do so I have the images with me wherever I go, on Lightroom Mobile. I must remember however that that images on Lightroom Mobile rather infuriatingly do not have the keywords attached to them, so I have to do all the uploading and posting from my desktop. The website is live now on the internet with a few images. Change the URL to https. Tell Google Search Console about the website. I need to go back and see if there is anything else that I need to. I know that this is boring back of house stuff, but it is very important for a successful website. I am new to WordPress, and have never built my own website before, so there is lots to learn. Thankfully I have had some great advice from Jim Harmer at Income School and Improve Photography. And this is a great reminder to me to check out some of his YouTube videos. And another thing I need to remind myself of is this – the idea is that this is a quick process – not a l long drawn out search for perfection. But for the first website I need to spend time learning stuff to make sure I do this properly – this is a time investment for the future, not a short-term thing. I am thinking that the text content will be circa 50 blog posts on the website, talking about the photos I have taken – these are the headings I am thinking of. Do I like the image? The website will then be a useful resource about Santorini, and not just about my photos. I want a website that is of interest to people, and also helpful – this is not just about me trying to flog advertising and images. I need to add an amount of text, so Google will index the content and I will appear in search queries for photos of Santorini, and other keywords of course. Recording what I have done. I am going to extract out all the website stuff as I do things, so I know what I have done. The plan is that I can create more websites with photos from other locations, using the process I am going through on this website. This is very much the beginning of what could be an exciting new chapter in my photographic life. The photos are just a time thing. That I have sorted so I can just get on with it. The hard work here is the website itself – the technical stuff and the pages and content on each page. Once the website is done my plan is this – leave it. I will of course keep far too close an eye on the analytics, but to start with I am going to leave it for 6 months and see what happens. I have scheduled a blog post for the middle of September titled “How I built a WordPress website” which will be a useful guide for anyone else wanting to do what I am about to embark on. Obviously, the title might change but you get the idea. I will report back periodically on what is happening with the website, which is very exciting. I love the idea of creating a brand-new website with my photos as the main content – this really is how I want to build a business – stay with me as I go through this exciting process.